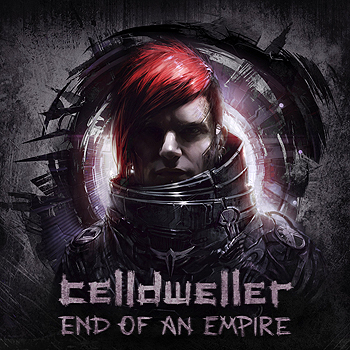 Blurb: The cosmic reaches of space and time transcending life and death, time and human emotion itself an empire to be conquered and risen anew, set the stage for Celldweller’s third, most ambitious, and perhaps most accomplished album. When Klayton released the 2003 full-length debut album under his Celldweller moniker, all the while starting up his FiXT imprint, few could have predicted the massive journey he would undertake with both his music and his business. Over the course of the next decade, Celldweller would hone his skills as a producer and composer to become one of the most respected and most prolific artists in modern music, his catalog having grown to encompass more remix, soundtrack, compilation, instrumental, and sound design credits than can be counted. While fans had to wait nine years for his sophomore album, Wish Upon a Blackstar to arrive, that album set a benchmark for where he would take his music – released initially through a series of Chapter EPs, and then compiled into a deluxe package, Wish Upon a Blackstar was an ambitious celestial journey across space and time with a science fiction narrative and thematic musical motifs befitting the best concept records. Not content to make his audience wait another near decade for his next outing, End of an Empire was to take things to the next level, making it perhaps the artist’s most expansive and thought provoking effort yet. 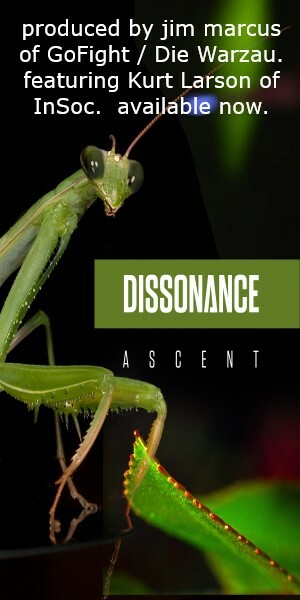 The title track begins the proceedings, a percolating trancelike arpeggio sequence gradually building to a thunderous display of symphonic pads and Klayton’s harmonized vocals; the guitars and drums kick in, the electronics building in intensity and sharpness, until the track finally erupts into a dizzying array of drum & bass rhythms and aggressive melodies. From the onset, the song exemplifies the album’s sense of cinematic grandeur, introducing listeners into an otherworldly sonic space that many may recognize from Wish Upon a Blackstar… but having now ventured further into “falling into the unknown.” Everything about End of an Empire can be summed up in the word “epic,” as each song transcends the simplicities of verse/chorus structures and while the pop sensibilities of Klayton’s alt. rock songwriting style is very much present, it is seamlessly integrated into his electronic headspace. The familiar warbles of bass synth so intrinsic to drum & bass and dubstep are present in abundance, as are some excellent vocoder augmentations, but from the organic drumming and fluid guitar lines, topped off by Klayton’s vocals that run the gamut from melodic crooning to impassioned howls and growls, the merger of biology and technology has rarely sounded so clean and so expertly crafted. Most of the songs extend past the lengths of five, six, and seven minutes, with the title track appropriately being the longest of the bunch to adequately guide listeners into this strange and beautiful world. As with the previous album, End of an Empire was first released via a series of Chapter EPs – Time, Love, Dreams, and Death – with each not only revealing the primary tracks, but corresponding remixes and “Faction” interludes that serve to augment the overall narrative. While the standard and deluxe editions of the album do well to incorporate selections from these chapters for a more dynamic presentation, the five disc collector’s edition is perhaps the best and most complete way to experience End of an Empire. With the “Faction” interludes given their own dedicated disc, the listener can hear them in a continuous stream that befits their placement as soundtrack pieces, some with added dialogue to help enhance the sense of cinematic ambience that pervades the whole album without intruding on the lyrics. The remixes may slightly break from the immersion… but it is only slightly; with artists like Comaduster, Aesthetic Perfection, Rhys Fulber, Combichrist, KJ Sawka, Zardonic, and HECQ bringing their own unique and diverse styles to Celldweller’s hybridized flights of fancy, along with Klayton’s own 8-bit inspired reinterpretations befitting the album’s soundtrack qualities, the remixes are worth the price of admission alone, even offered up as separate purchases for added selection. If any one remix truly stands out, it would be the Circle of Dust remix of “Jericho,” not just for its militaristic bombast and martial atmosphere, but for being the first indication of new material from Klayton’s long dissolved past project, which one can perceive as tying into the album’s very themes of recurrent history and time. While its themes are perhaps not the most groundbreaking or the most revelatory observations on life and death, space and time, it is Klayton’s meticulous production and composition that brands his particular style of musical storytelling the true star, making End of an Empire’s lyrical qualities feel far more profound than they actually are. Some might even find the music to be a tepid retreading of areas Klayton has already demonstrated intense proficiency in, but there is something to be said for the artist’s continued refinement and honing of what is clearly a style of musical and sonic fusion that still excites him and his fans. It’s a familiar and very atmospheric story told extremely well through some of the artist’s most exciting and adventurous work, presented to the audience in a multitude of formats to cater to their chosen outlet of experience.